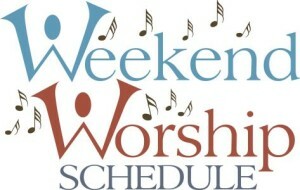 On Saturdays we have a come-as-you-are worship service at 5:30 PM. 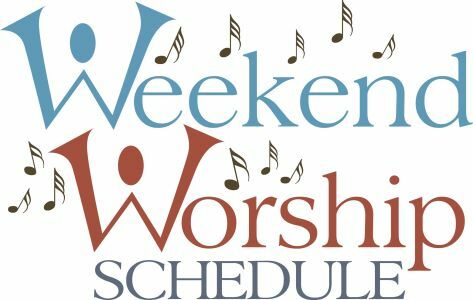 It includes a combination of traditional hymns and contemporary praise songs led by song leaders and keyboardist Linda Mondry, our Saturday Worship Musician. 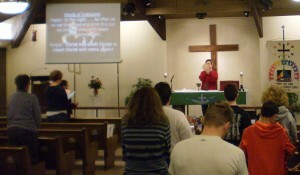 The entire service is projected onto a screen as shown in the photo at left. We offer Holy Communion at Saturday worship each week. Saturday, January 14, 2017 marked ten years since the first Saturday worship service was held at CtK on January 13, 2007.